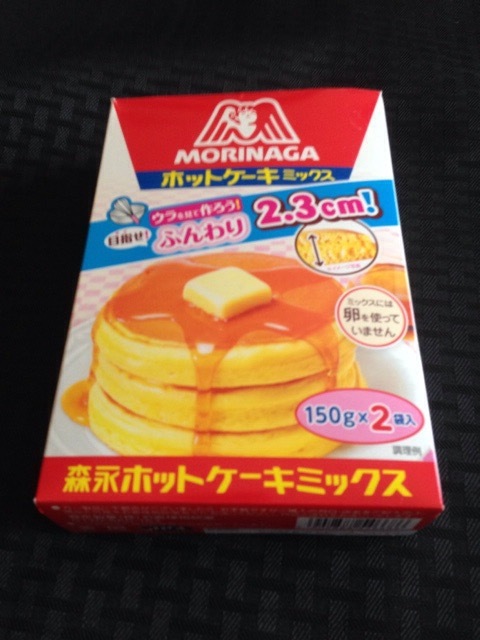 While in Japan I was lucky enough to sample Japanese Hot Cakes at breakfast. I loved these sweet little cakes. They are small,sweet fluffy, and sometimes come in green tea flavor. When I returned home I just had to make them for my famly. The first thing I did was go down to our local Asian Market and was able to find the mix on the shelf. Which was great because I so wanted easy. The back of the box had nice little pictures for directions. When I got up on Sunday morning to make for my family, I realized that after looking at the box I did not know if you used milk or water. So I searched the internet to find the company website. Which I did with ease, their website was all in Japanese and had the same nice picture directions. They had an English button, unfortunately it only led to their company information and not the actual products with cooking directions. So here I was stuck with the delima of which to use, milk or water. Then it dawns on me to stick the web address into my Google Chrome browser. I normally do not use it on my iPad so it did not occur to me right away to use it for the translate page function. Thank goodness it worked. However I always warn that using Google Translate. It does not always translate correctly. Its translation while not totally correct, it was fun to read. 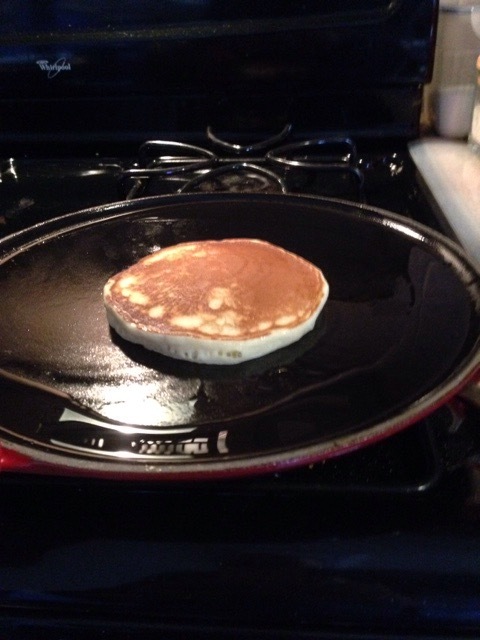 Here is my attempt to make Hottakeki (Japanese Hot Cakes). If you do find this mix, use milk to make the mix up. 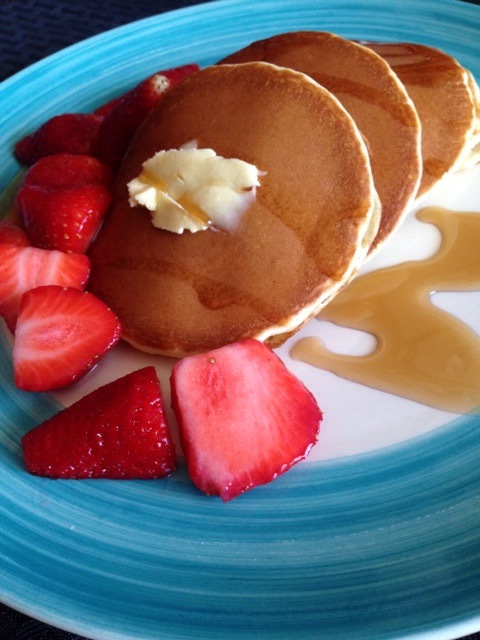 Since I made used the mix, I have found another site that has the recipe from scratch. Which I plan to try next. Wish you were close too, miss seeing you at breakfast every morning.